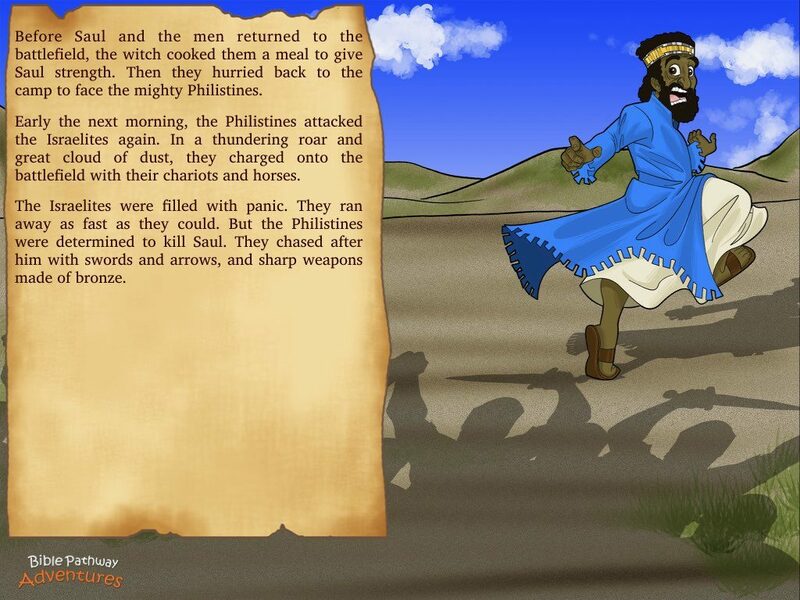 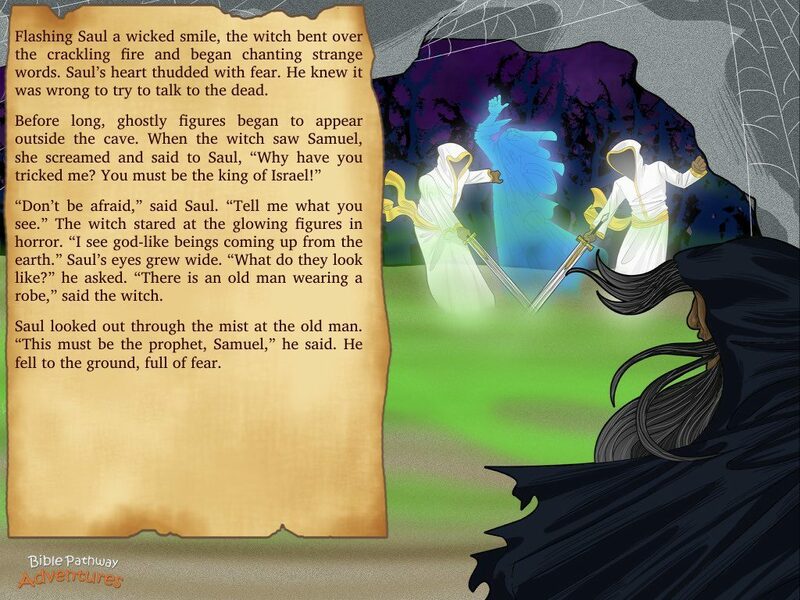 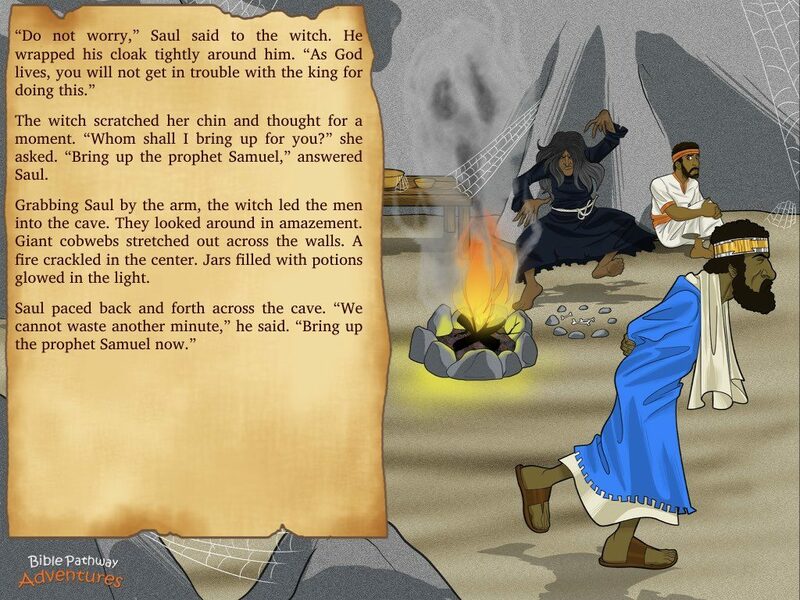 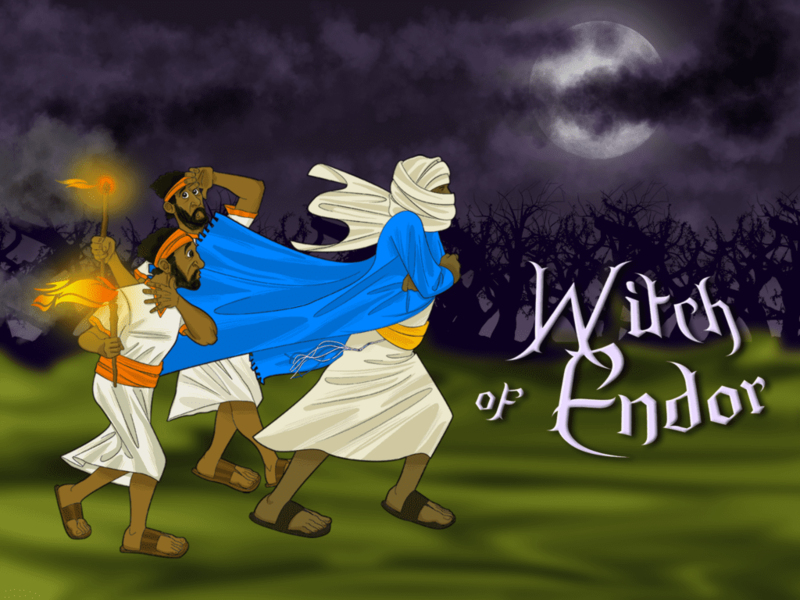 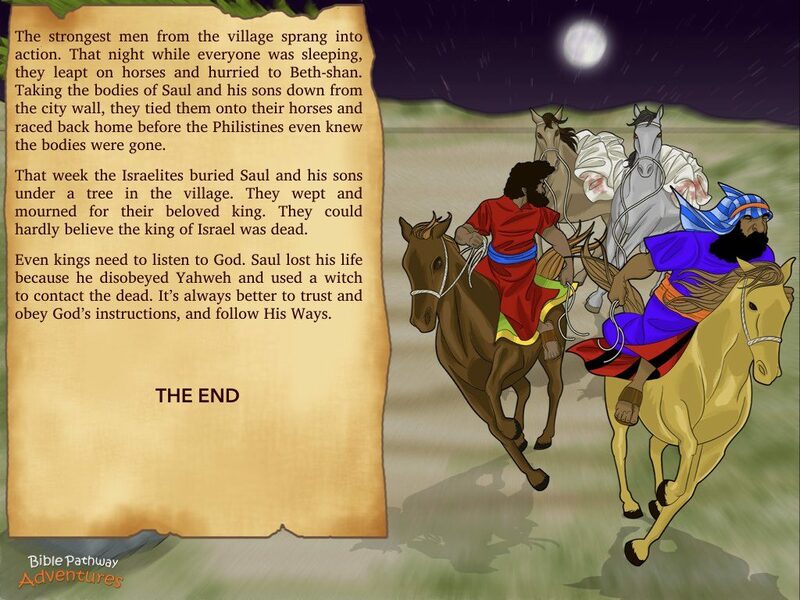 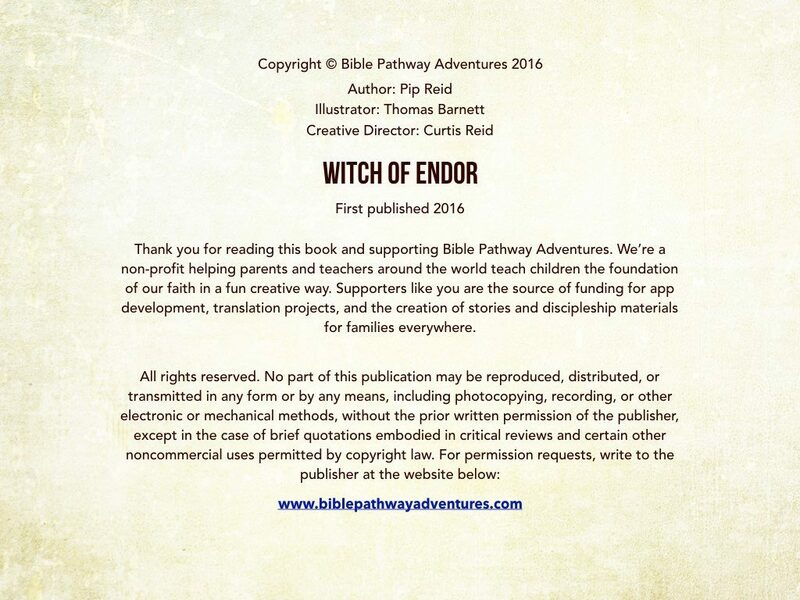 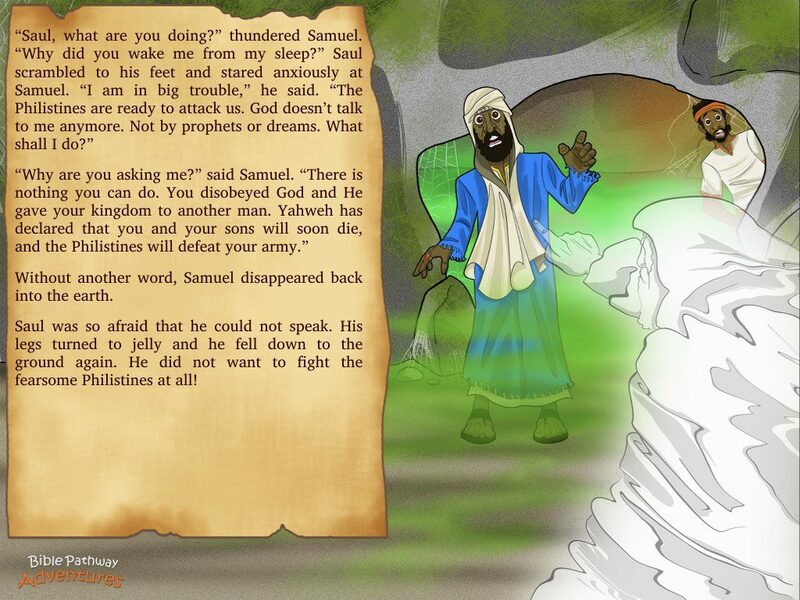 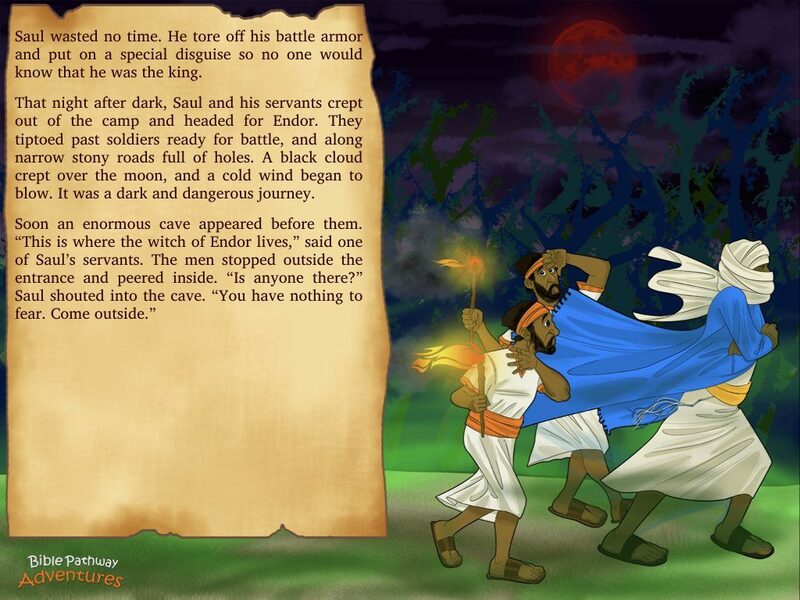 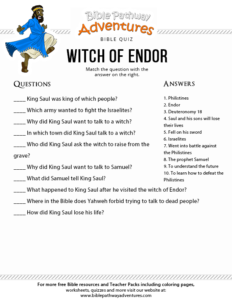 Listen to Witch Of Endor above and click the next page to follow along using our Storybook options. 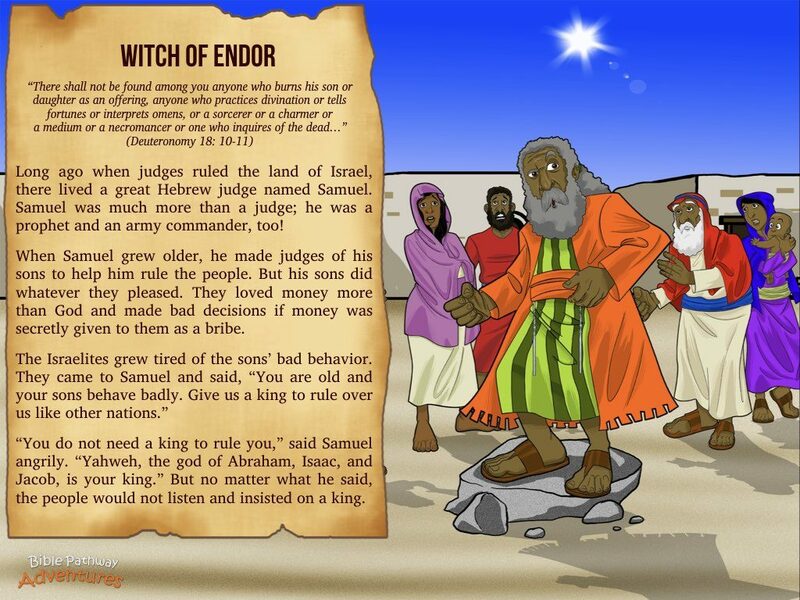 Witch of Endor | Long ago when judges ruled the land of Israel, there lived a great Hebrew judge named Samuel. 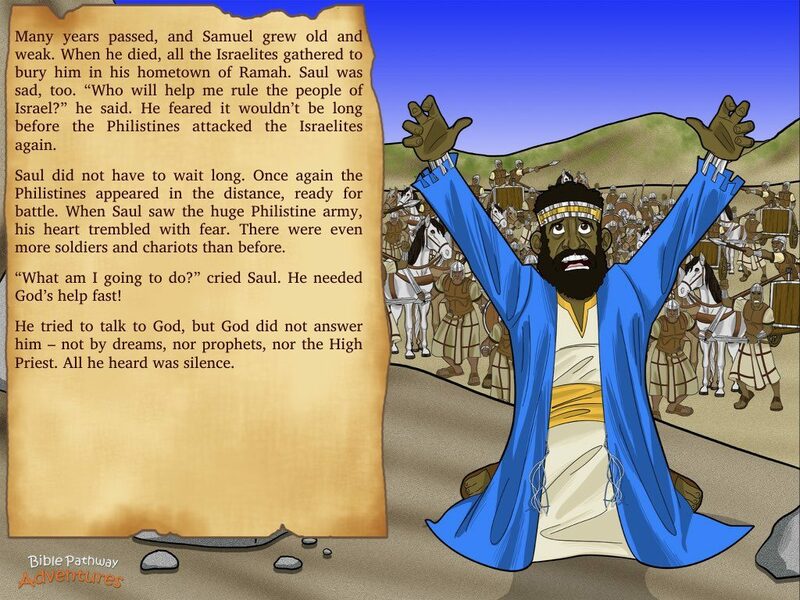 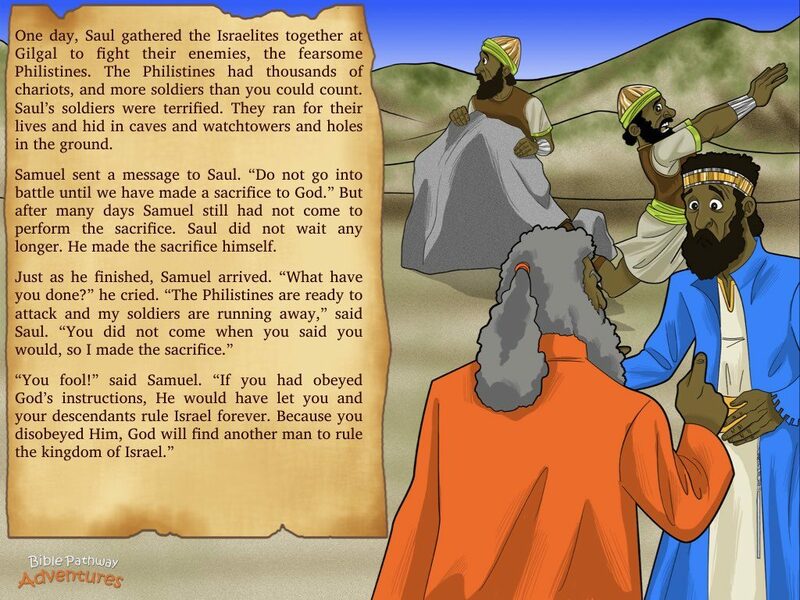 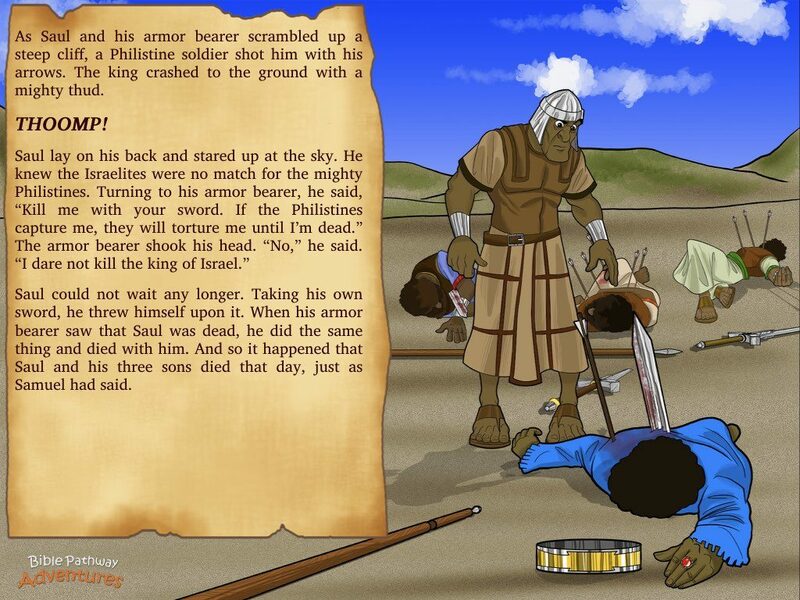 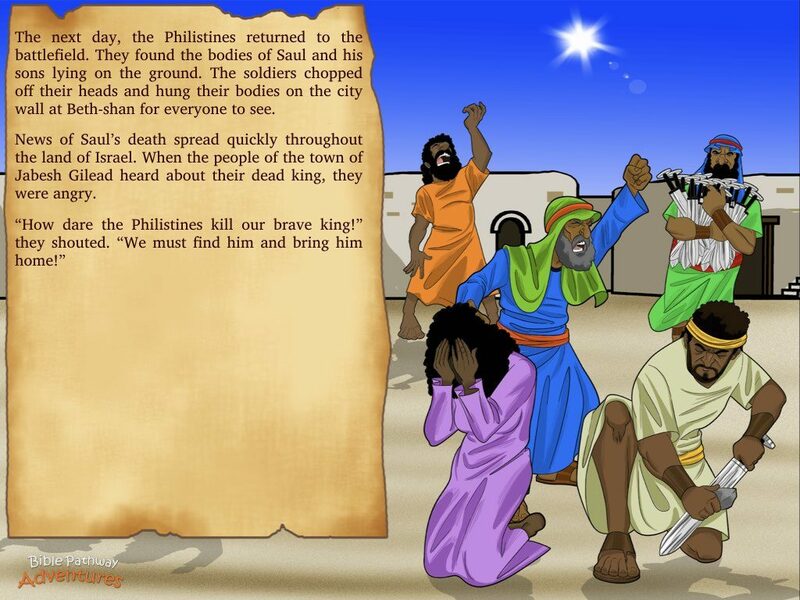 When Samuel grew older, he made judges of his sons to help him rule the people. 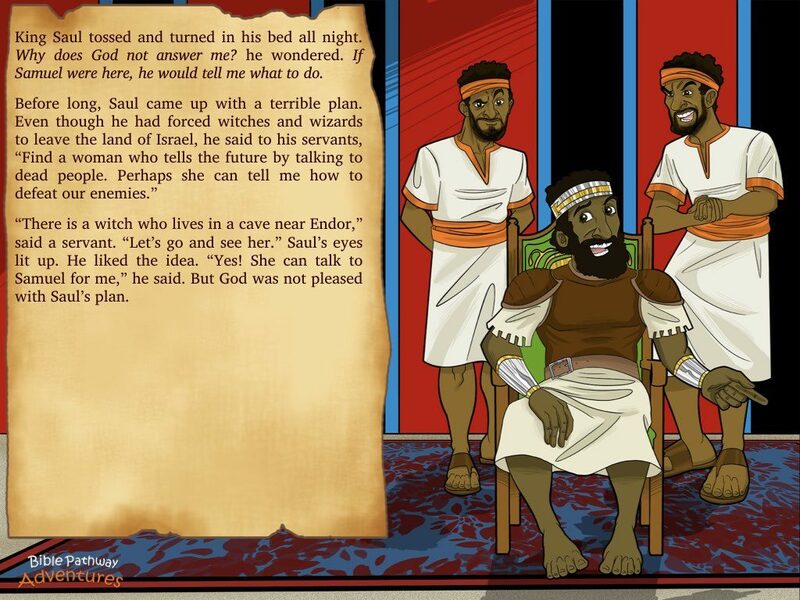 However his sons did whatever they pleased. 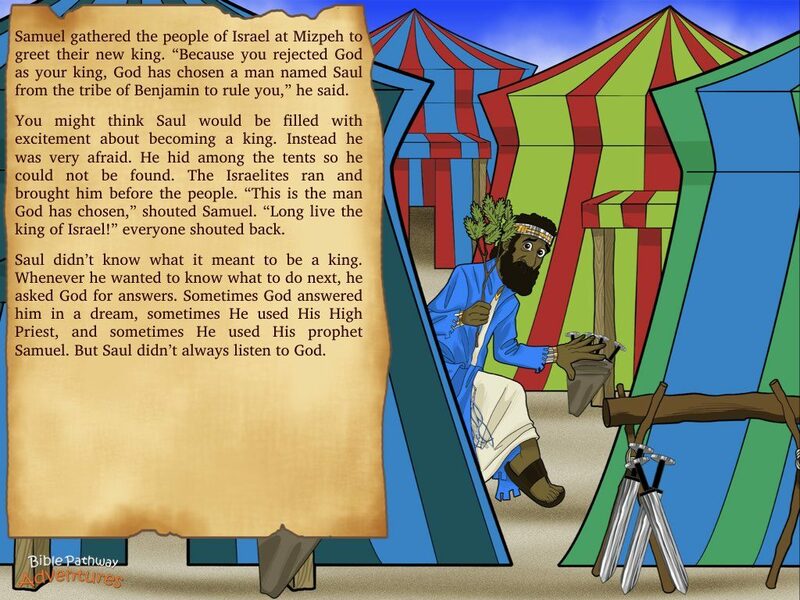 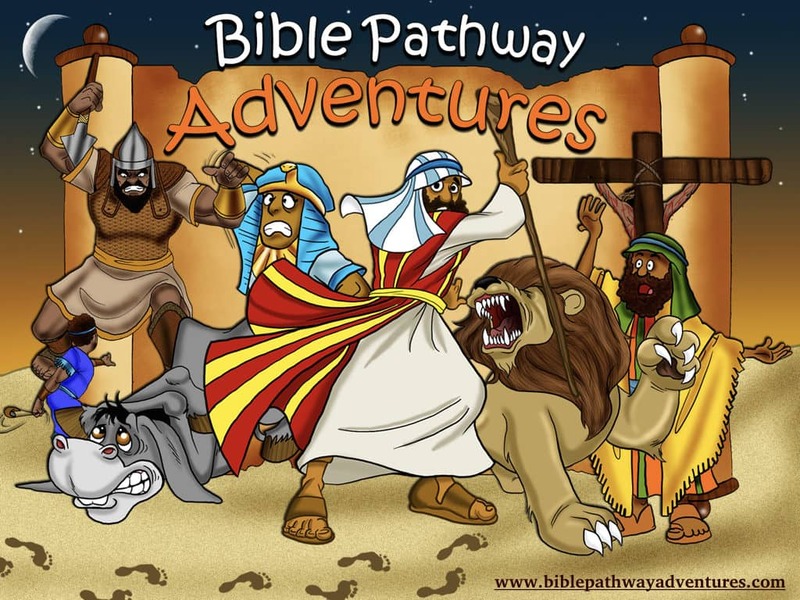 The Israelites grew weary of their bad behavior and insisted on a king. 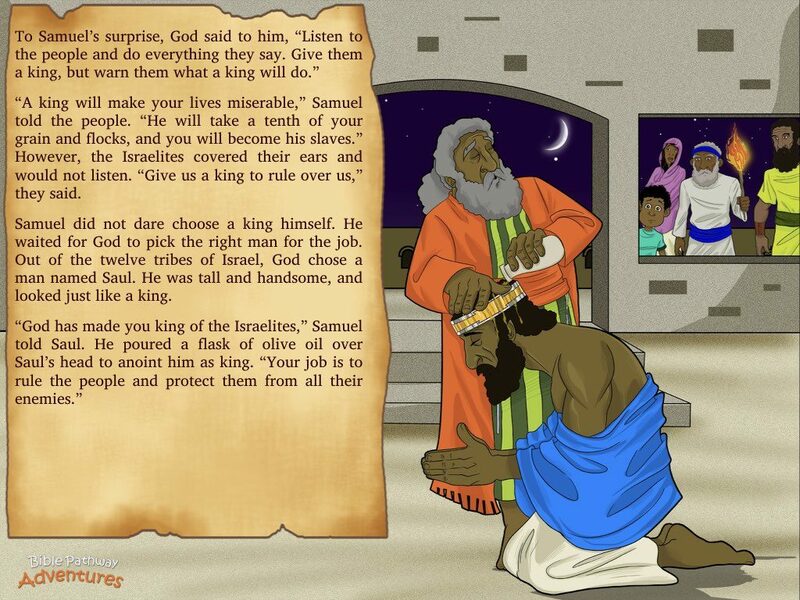 But even kings need to listen to Yahweh. 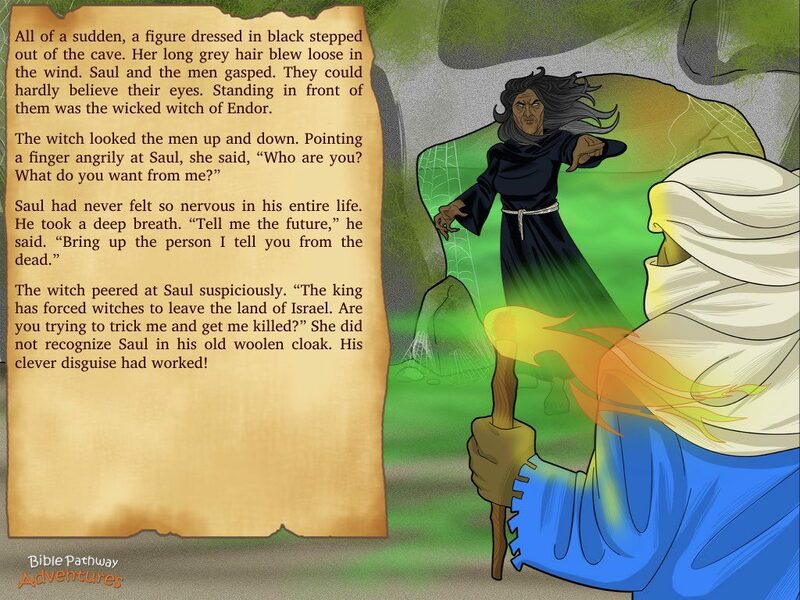 Saul soon takes matters into his own hands with disastrous consequences.